I started riding horses at the age of 12 and began horseshoeing in 1989 when I felt the need to learn to put a shoe back on because of the lack of reliability of my previous horseshoers. I couldn't wait for days for the farrier to show up...leaving the horses in training laid up. 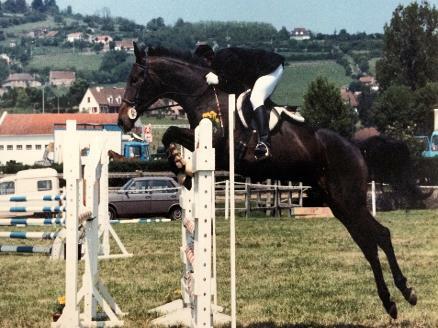 I started an apprenticeship and then went back to France for my college degree in equine science. 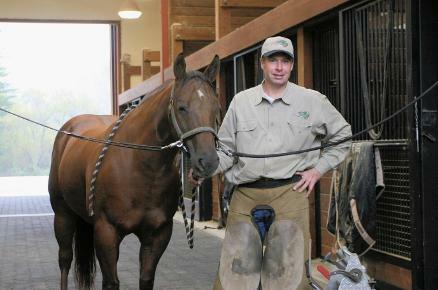 While I kept working in the horse industry, I was shoeing on the side. Later, I returned to the States and continued an extensive apprenticeship with a few world renowned horseshoers before starting my own business. After starting out in San Mateo county and Northern Santa Clara County, I moved south in 2002 and expanded my business to South county and Monterey county as well. I am now centrally located in the San Jose area.